We understand the trust you have placed in us to carry out the final wishes of your loved one is sacred. 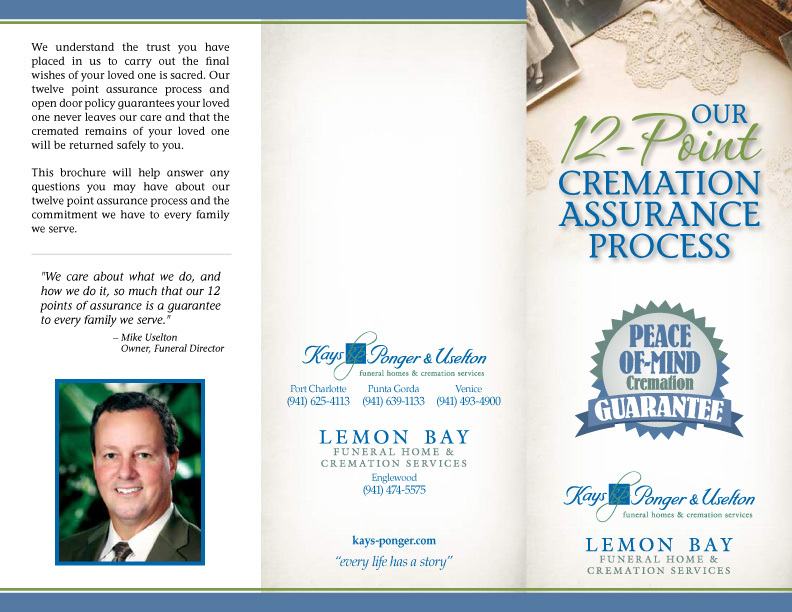 Our twelve point assurance process and open door policy guarantees your loved one never leaves our care and that the cremated remains of your loved one will be returned safely to you. This brochure will help answer any questions you may have about our twelve point assurance process and the commitment we have to every family we serve. Many other funeral homes hire third party companies to transport, hold, handle and conduct the cremation. These providers rarely ever see or take possession of your loved one prior to the cremation. This makes it virtually impossible for the funeral home to manage and supervise the cremation. Once your loved one is in our care, they never leave our care.